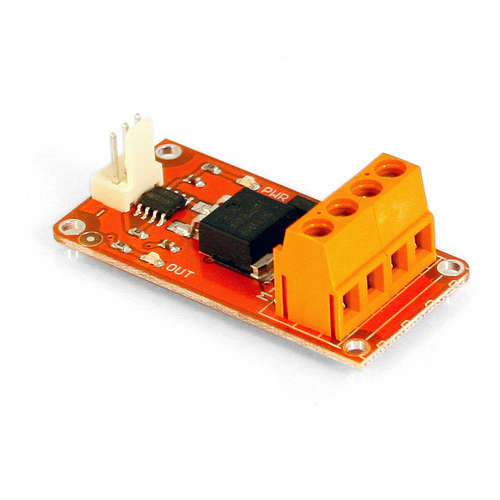 Module Description: This module features a power MOSFET transistor, a kick-back diode, a standard TinkerKit 3pin connector,a signal amplifier, a green LED that signals that the module is correctly powered and one yellow LED whose brightness depends on the input signal received by the module. This module is a ACTUATOR. The connector is an INPUT that must be connected to an OUTPUT.